Sales + Auction Services - W.T. Newey & Co. - "Nothing Beats Experience"
Our solution-oriented, highly experienced sales team take the stress out of marketing and selling your home. We provide peace of mind while we work to achieve the maximum price for you, and we often exceed our client’s expectations. As we are a well-established, large, independent real estate agency, we don’t have to fit within a franchise marketing formula. This provides us with the flexibility to deliver what’s best for you and your property. We treat each property individually, tailoring our sales and marketing campaign to your needs. Our unique professional marketing gives your property full exposure to the market in order to achieve the best possible price, whether sold by auction or private treaty. Whilst we utilise the very latest in digital technology, we believe it is our personal service, our integrity and excellent results which keep our clients coming back. Many of our valued clients have dealt with the same team member over many years, property after property, generation after generation – we love that! We sell a broad range of properties, from residential housing to land, subdivisions and entire blocks of units. Some of our past clients include: Commonwealth Bank, Westpac Bank, NAB, Department of Housing, St George Community Housing, NSW Trustee & Guardian, Sydney Water and Canterbury-Bankstown City Council. As we’ve been in business since 1923, we’ve established extensive community contacts and built a large database of potential sellers and buyers, investors, builders, developers and other professionals with an appetite for good residential property. Our award-winning in-house Auctioneer has over 40 years’ experience in the Real Estate industry. Our auctions are unique because we work with all interested parties, whether sellers or buyers, to keep everyone informed throughout the auction process. Our point of difference at Auction is that our team actually works with the crowd, rather than being spectators. We value transparency, honesty and openness and our clients appreciate that. We see this as a positive for all parties involved. Of the properties we offer by way of Public Auction, we achieve a significantly higher than Sydney average clearance rate. We are committed to open and honest communication, with contact provided as often as you need it to be. We always keep you informed of all important developments in the sale of your property to ensure you’re able to make informed decisions. Our multi-lingual staff happily assists our multicultural clientele. 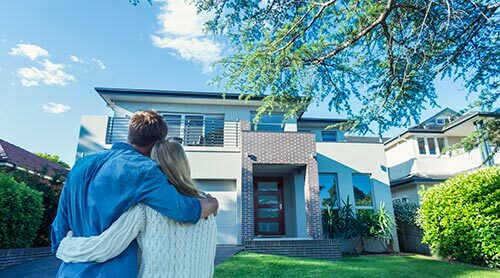 You’ll enjoy peace of mind knowing you’re dealing with a member of the Real Estate Institute of NSW (REI), as we’re committed to and bound by their strict code of ethics. You’ll also similarly benefit from our membership of the Australian Property Institute (API). Our client’s best interests are always our top priority and we’re committed to putting you first. Whether you decide to sell via auction or private treaty, we will dedicate our extensive knowledge, resources and experience to achieve maximum price on your behalf. If you’d like to know more about how our knowledge and experience can help achieve the best results for your property, contact one of our friendly, professional team now on (02) 9790 0377. W.T. Newey & Co. – Nothing beats experience.